Strathcona Park under construction. Originally a swampy floodplain of the Rideau river, it became home of the Dominion Rifle Range in the late 1890s. Soldiers trained here before departing for the Second Boer War (1899–1902), hence the name Range Road. 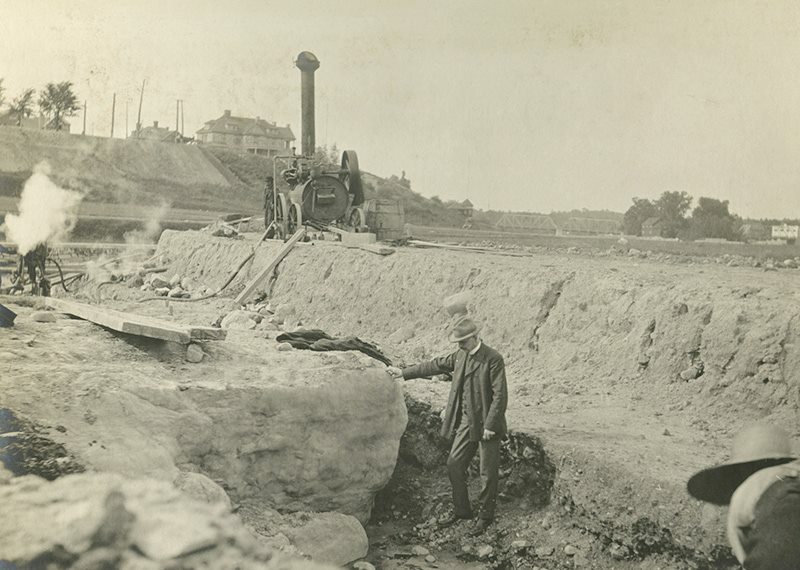 Here we see the construction of the canal in 1904 as the area was turned into a park by the federal government. It was named after Lord Strathcona, a Canadian businessman and politician who had financed his own regiment in the Boer War. 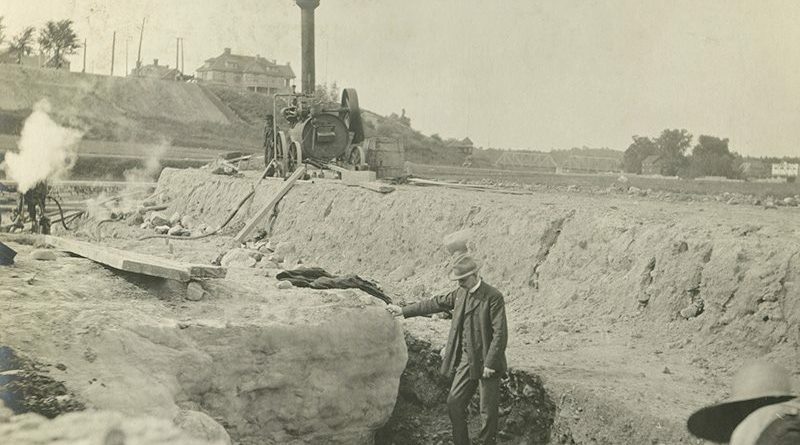 In gratitude, in 1909 he donated the fountain now standing atop the hill at Laurier Ave. 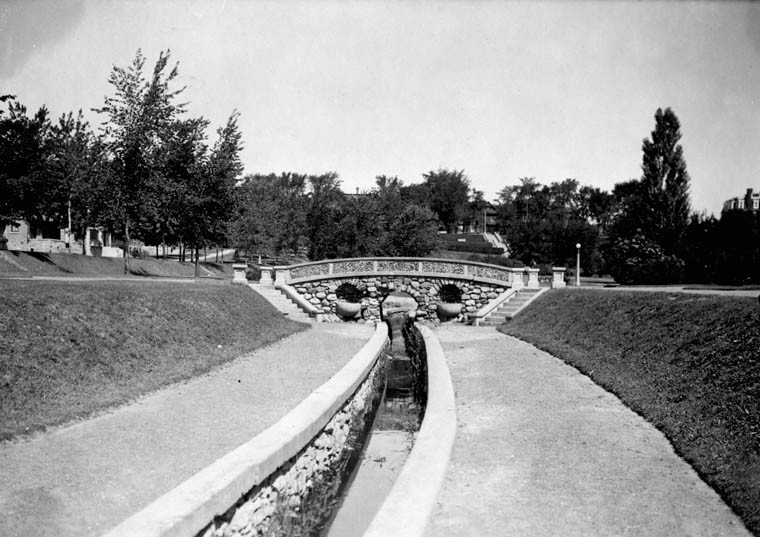 The park contained a pair of small ponds, gazebos, and Ottawa’s first golf course. The expense of maintaining the canals during the Depression meant that by the 1940s they and the ponds were filled in. The baseball diamond at the southern end of the park was constructed in the 1920s and for many years was Ottawa’s main venue for the sport. Prior to that it was a lacrosse field.